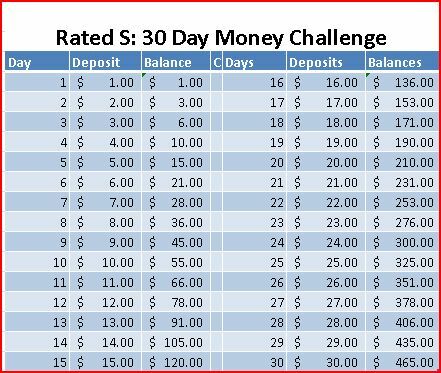 With all these challenges floating around, I thought why not have a money challenge. It is similar to the 52 week challenge but scaled down to 30 days. This is for anyone wanting to save close to $500 in a month. Don’t wait until the start of the month to do it. Get a jar and start off by putting in your first $1. I recommend using cash so that you can physically see the money stacking up through the course of the month. You may be tempted to use it, but don’t. This is much more about the money, it is about self-control. Can you resist the urge to spend ? Can you save your money instead by using the stacking method. Try it and comment below how the challenge is going.